Though no church is mentioned in Domesday Book, one existed by the mid-12th century. 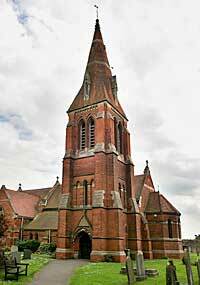 The current church dates from 1886-8, and is by S G Parry. It is built in brick, and is at least the third church on the site. 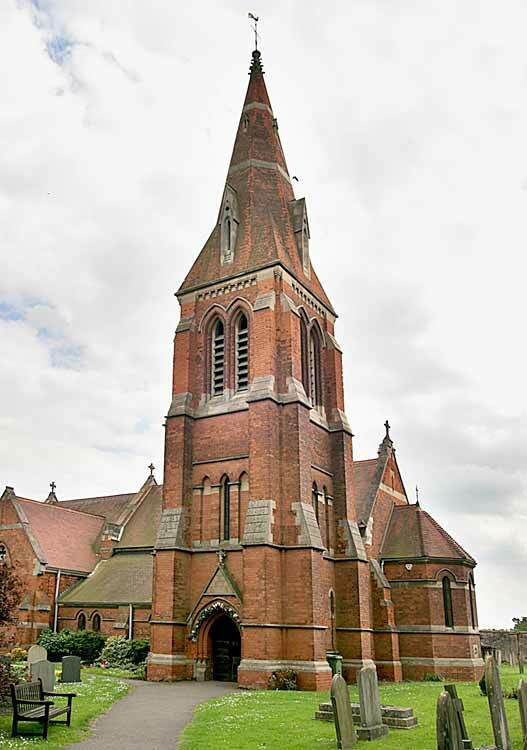 It consists of a chancel with organ chamber and vestry, a nave with three bays, a north aisle, a north-west tower built over the porch with a spire 105 feet high, and is constructed of red brick with Ancaster stone facings. There are 15 stained glass windows, one of which was presented by the Bishop of Southwell in 1889 (but has since been replaced), and one memorial stained glass window is in memory of Mr E. Allwood, made in 1929. The tower contains a ring of six bells, most of which date from 1887 but with one of 1630 and one of 1906. There is a font located in the polygonal western baptistery. The roofs were re-tiled in 1981, and the bells were re-tuned and rehung between 2002-2004.